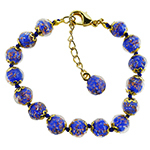 The Machiavelli line uses some of the richest and most colorful and artistic Murano glass beads we have ever seen. 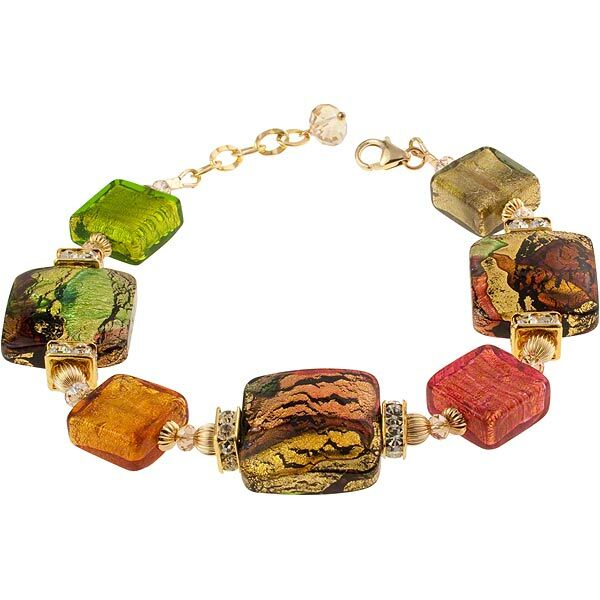 Warm topaz, rubino, and green tones are accented by both gold foil and aventurina and formed into a cushion-cut style shape. 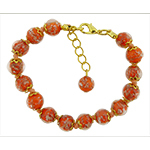 Accented with Swarovski crystals and gold-filled and plated findngs, this bracelet will call attention to your exceptional taste in handcrafted jewelry. 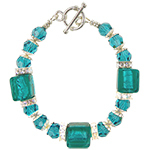 This bracelet will fit sizes 7 1/4 to 8 1/2.